My Paris Kitchen is finally here! It’s taken me a few years to get to this day, and I thought I’d give you a little look behind-the-scenes of how the book was created. 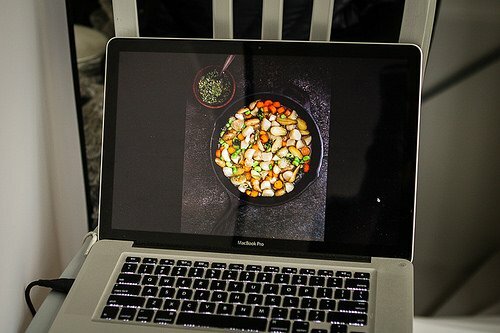 There’s a certain amount of conversation about blogs versus cookbooks, and since I have a foot in both, I am keenly aware of the connection between the two, but also what makes them different. 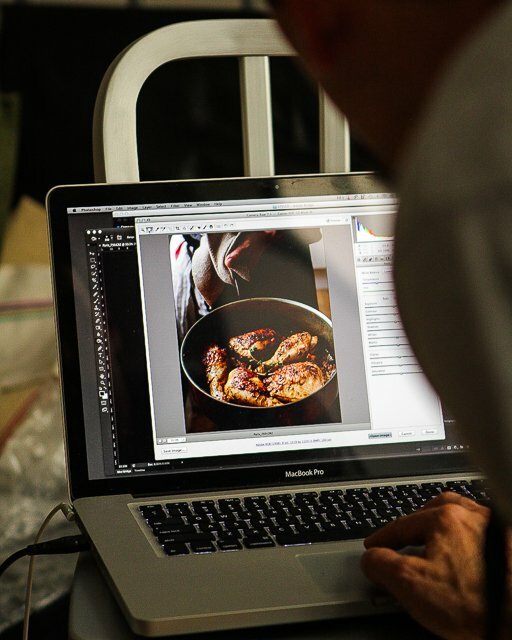 There’s a lot of talk about whether food blogs are overtaking traditional cookbooks. What’s changing – in my view – is that people are looking for something else in a cookbook – not just collections of recipes, which can be found online, but a storyline that carries the book. 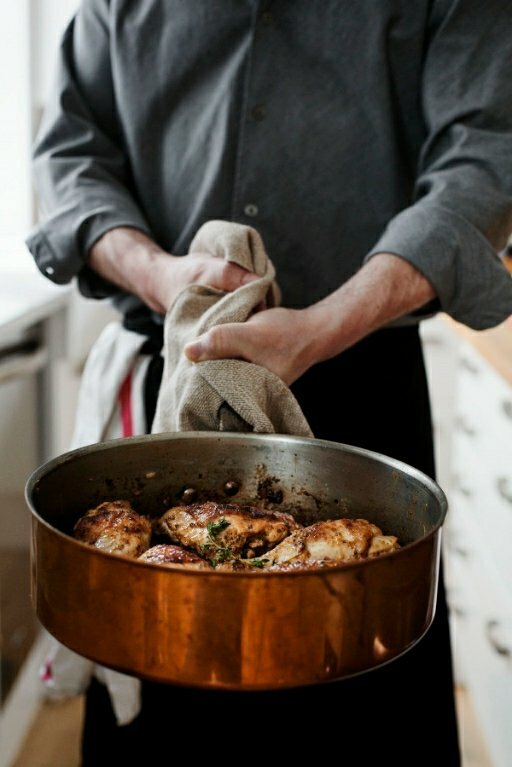 I read blogs when I’m sitting in front of my computer, but I love settling into a chair (or cozy bed) with a good cookbook, and reading all the stories that accompany the recipes. So when people ask me, “What’s your book about?” I answer that it’s a story about how I cook in Paris – where I shop, how I find ingredients, the friends I like to cook with, as well as recipes from Parisian friends, chefs, and pastry chefs, with plenty of photos (and stories) of the outdoor markets, pastry shops, bread bakeries, bistros, and cafés. The book starts with recipes and stories for l’heure de l’apéro (cocktail hour), and goes through soups, salads, and main courses, before heading to dessert, ending with a spectacular bûche de Noël, that concludes the year across France on a sweet note. In addition to showing the spectacular city of Paris, I also wanted to highlight its diversity through visits to some of the ethnic neighborhoods, presenting some of the multicultural recipes I picked up there, which Parisians have embraced. 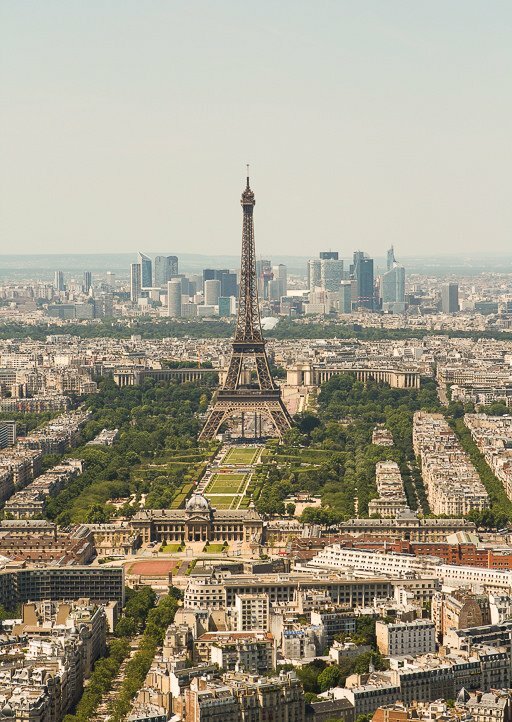 Unlike the other regions of France, Paris is a mix of cultures and cuisines – there are very few things that are “Parisian cuisine” since so many residents of the city have come from other parts of France, and the rest of the world. Like me. 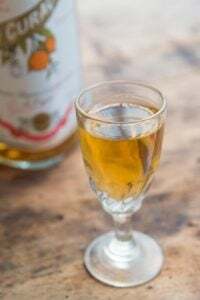 So there are recipes and stories from Provence, the Jura, as well as North Africa and yes, even the United States. You’ll see me eating my first sandwich merguez stuffed with frites (finally! ), as well as rifling through boxes at the flea market, scoring kale at the marché bio (organic market), and sitting down to everything from a warm chocolate cake with salted butter caramel sauce from a favorite bistro (with the chef’s recipe and secret technique for dialing up the chocolate flavor), to an exhaustive search for the best way to make madeleines with that picture-perfect hump – with two recipes, and notes – that explain the madness in my method. Writing a book is an all-consuming process, at least for me. My Paris Kitchen started out as a non-cookbook proposal that took me nearly eight months to write. People who want to write a book are always astonished when I tell them that it takes that long (at least it takes me that long), to write a proposal. But it’s the most important part of the cookbook process. It’s where you clarify and distill your ideas, and create your vision of the book. And in turn, it allows the publisher to grasp your idea of your book, who you are, and the intended audience. So I rewrote the proposal, using a title that Aaron Wehner, the publisher, came up with – My Paris Kitchen – as my guide, and that was that. I’d written several other books in my tiny Paris kitchen, in my charming but – um, very tiny rooftop apartment. Around the same time I signed the book contract, I was signing a contract to buy my first apartment in Paris, and getting ready to embark on what I thought would be a relatively straightforward renovation. The contractor told me it would take two months and because I used to believe what people told me, I didn’t think anything of it, and went to work on the book. As they say, expect everything to take twice as long, and cost twice as much. But, of course, I’m the exception to the rule and the renovation went on for about 1 1/2 years. During that time, anything that could go wrong, did. And then some. Over a year-and-a-half later, after I had to put my entire life on hiatus – including the book (all my things were stored under a giant plastic tarp that was covered with a thick layer of dust, which I was afraid to move, and I had no idea where anything was) – I finally forced my way into my half-finished apartment, got someone to fix what could be fixed (I won’t go into detail, but if it wasn’t for the competent contractor mentioned on page 94, I most likely wouldn’t be alive today), and got back to the book I had started. A friend made me promise not to write a book about what happened, so I will save it for when we can all get together and have too-many glasses of rosé on ice together. But after losing everything that I had worked on, I pulled myself – and what I had managed to piece together – and started with a fresh beginning. (Kind of like my proposal.) 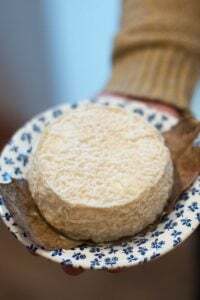 I began cooking and baking in my new kitchen, loving the space, the light, discovering the markets that were nearby, as well as butcher shops, fromageries, and bakeries. A journalist who interviewed me recently said, “The book really surprised me.” So I asked her why. “It’s so personal,” she replied, which I thought was curious since writing a book, especially a book where you are cooking and baking, and keeping notes of thoughts, tips, ideas, and stories, is a deeply personal experience. But then again, I wasn’t planning on writing a cut-and-dry cookbook. The book is meant to be a story, with the story running through the recipes, text, photos, and headnotes. Like Paris, and life itself, there’s everything in the book; the good, the unexpected, the quirky, the tasty, and the sublime. 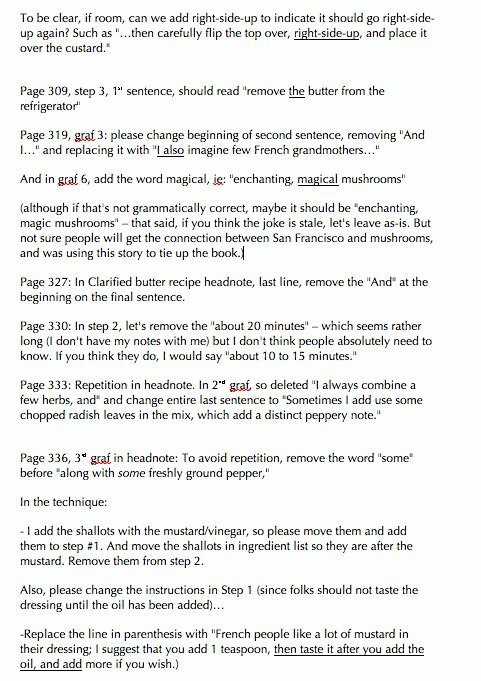 Once I’m satisfied, I type the recipe up on my computer to make documents, which I put into files named after the book chapters. Then the recipes get sent off to someone in the States, who is a good home cook and baker, which is exactly the kind of person I want because she knows what should be pointed out or clarified, and what changes I might consider making. Then I make it again. And sometimes, again. As the deadline neared, with the help of my friend (and former editor) Susan Friedland, who came to Paris, I pulled the massive amount of notes, recipes, stories, and tips together, and made it a complete book in one giant document on my computer. Since this book has a lot of stories, and many of the stories refer to others in the book, I had to be extra-careful to make sure that if I referred to something previously, that the story actually showed up before the second mention. With 130,000 words to sort through, for a few months, I became a different person and I think my friends were conspiring to do some sort of intervention. You can only imagine what it’s like to spend years writing, crafting each word and sentence as if each is the most important word and sentence you will ever write. Then to be told that you need to delete one-third of them. And since all the stories in my book are intertwined with each other and the recipes, that kind of edit would have made me put my head in the oven. Which I almost did for another reason, that’s recounted in the book. Top-notch cookbook editors are an astute bunch, and know about writing recipes – and cooking – and mine, Julie Bennett, was no exception. The first edit is called a “developmental edit” where the bigger picture of the book is considered. Are some chapters too heavy and others too light? Do the chapter openings need to be expanded, or reduced? Do you need to add discussions or explanations about ingredients and equipment? Are there too many recipes and will some need to be cut? Will anyone make the frog leg-turnip omelet recipe with snail-raisin-white chocolate butter? Sometimes you need someone to reel you in, and that’s the job of the editor. They also make sure the ingredients are all listed, and in the right order, that is, listed in the order in which they’re used. 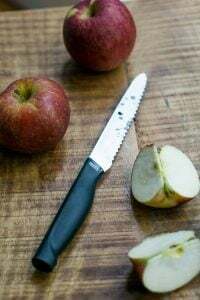 And they also make sure that the recipe says when to add each one, which is a tricky task and although every cookbook author lives in fear of getting their copy edits back, it’s one of the most critical steps in writing a cookbook. Aïe!..as they say in French. And that’s just for six pages of a three hundred and forty-four page book. Writers spend days and days and days looking at the same words on the screen over and over and over again, so it’s entirely possible that when you’re scrolling through 130,000 words for fourteen hours a day for weeks on end, you might misplace an apostrophe or a comma, or get a teaspoon mixed up with a tablespoon in an ingredients list. When I started the book, I told my publisher that My Paris Kitchen should look and feel “real,” like Paris. The book would have to capture the stately beige buildings framed by gray-violet skies with often break open in a brilliant shade of blue, punctuated by colorful fruit tarts in bakery showcases, crates of the cherry tomatoes that no party in Paris would dare to be without, butchers trimming meaty steaks, and colorful clementines tumbling forth at the markets. I wanted to show the splendor of the Seine and the grand boulevards, as well as the multicultural neighborhoods with their vibrant grocers, whose aisles I love strolling down, sniffing out spices, and where I get my nuts and dried fruits. 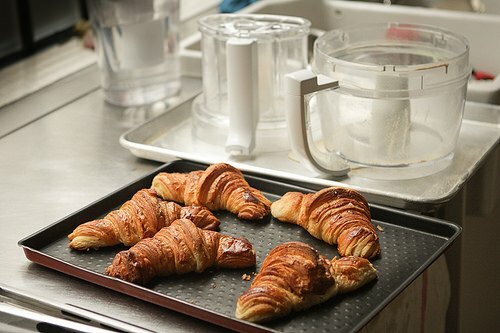 And, like the streets of Paris, it’s not possible to replicate that anywhere else and we needed to shoot the food in my Paris kitchen, since that is what the book is about. So photographer Ed Anderson flew to Paris with his camera and gear, and we met up for lunch, tentatively checking each other out. I assumed that Ed would be experiencing jet lag, since he had just arrived that morning. But he had his camera in hand, ready and eager to go. I wasn’t sure what to make of this shy, understated fellow who was going to be shooting my book, who I’d never met. But I was a big fan of the pictures he took for other books with my publisher, Bitters and My Sweet Mexico, and had a feeling he was the right guy to capture the moods of Paris, and the textures of la cuisine française. 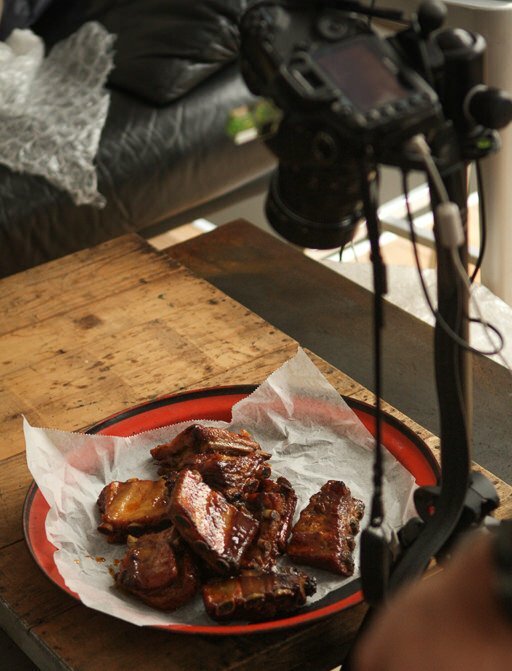 A food stylist doesn’t just put food in front of a camera, he or she also shops and cooks the dishes. At the start, Valerie handed me a list of recipes she wanted me to make (mostly the desserts), which I was happy to do because since the recipes are mine, I would be the best person to make them for the pictures. Since I’m often working by my lonesome self in the kitchen nowadays, unlike when I worked in restaurants, it was a pleasure to work side-by-side with her in my kitchen. We coordinated and divided up the tasks according to who excelled at what, Valerie using her food-stylist skills to get nice grill marks on les croques monsieurs, making sure the caramel sauce on the caramel ribs looked as shiny in the photo that winds up in the book as it did when it came out of my oven, and all that ridiculously good crackly skin on the counterfeit duck confit (which doesn’t require three to five quarts of duck fat, or four days of work), to look as succulent as possible. Ed is great at capturing all those little things about food that make it appetizing, such as drips in bowls, and sauce scrapes in pans. Whenever I tried to clean something up for the camera, and put it before him, I could sense that he preferred that I hadn’t made that final pass over the food to make sure it looked okay. Then, one day, he said to me, “The messier it gets, the better it’ll be.” Which has become my mantra. 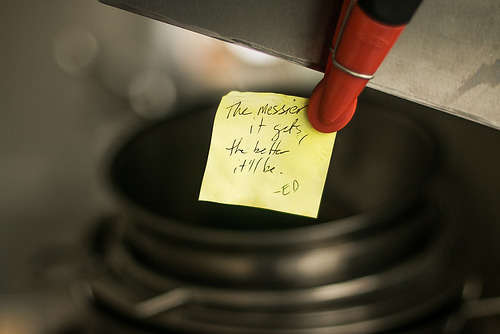 So much so, that I wrote it down and keep his words around as a constant reminder in my kitchen. After realizing that even my large refrigerator – at least by Paris standards – wasn’t able to hold all the food that we were amassing for the shoot (in spite of hitting the markets first thing every morning), Romain came to the rescue and brought over his fridge, too. We stockpiled a lot of food and though it’s been almost a year, I’m set for the next decade on Dijon mustard, green lentils, fleur de sel, and pomegranate molasses. 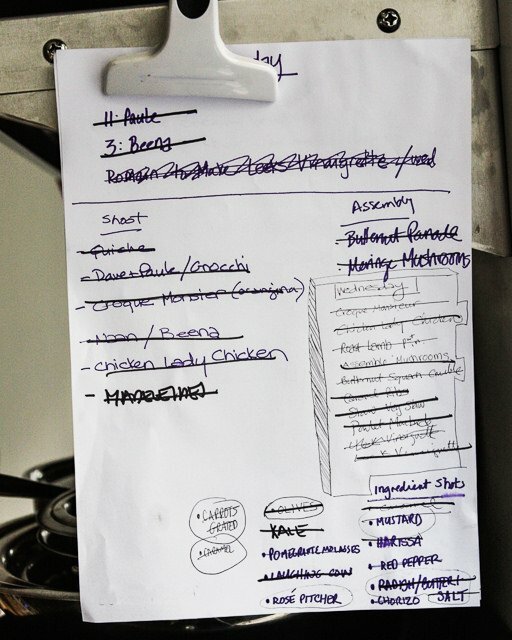 Although you’d never know it from our banter (and post-production rosé consumption), we were a team of serious food professionals, and a schedule was drawn up, which was necessary because some of my friends featured in the book came by to cook their dishes that appear in the book with me. One was my friend Beena, who makes a tasty naan fromage (cheese-filled Indian flatbread), and Paule, a friend who not only shared her family recipe for gnocchis à la Parisienne, but provided some lively banter, which I recount in the book. 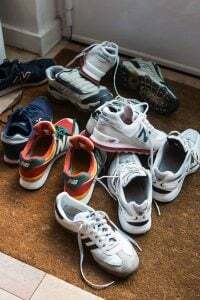 A fluent French-speaker, and married to a Frenchman, Ethel helped Valerie navigate the French supermarket check-outs, which – as I recount in the book (page 65) – can be a terrifying experience. Even though she’s worked with some pretty high-maintenance celebrities and celebrity chefs (which I hope doesn’t include me! ), Valerie confessed that she couldn’t bring herself face the poker-faced cashiers at the supermarket after her second visit. She’d made the mistake of trying to pay for things without having exact change, and had been reprimanded for doing so. Looking back, I guess I should have warned her. In my kitchen, there was another warning, one that I made absolutely clear from the start: Do not touch David’s peanut M&M’s. So we cooked and cooked, and baked, and frosted for the week. I made a massive cassoulet, stuffed sandwiches with homemade duck terrine with figs (page 113), and kept the wine – and coffee – flowing. 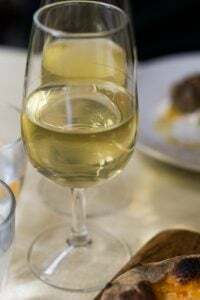 Equally fun was heading out as a little group in Paris, hitting my favorite markets, stopping for couscous, enjoying plates of charcuterie at wine bars, before collapsing in our respective beds at the end of each day. Picking out the cover shot of a cookbook is a very important decision. It’s the first impression people have of a book, and it needs to convey as much as it can in one succinct image. I didn’t want my mug on the cover, but thought that somehow, I needed to be on there in a less in-ya-face way. After all, the title has “my kitchen” in it, and I didn’t want a shot that could have been taken anywhere. But because so many books are featured on the web nowadays, in addition to wanting to stand out on crowded bookstore shelves, I thought it’d be nice to have a bold image that was simple, straightforward, and clean that looked good online, too. The picture said 1) French cuisine, 2) Home cooking, and 3) Yours truly – all at once. And we all agreed. After all the photos were shot, everyone split to return home. 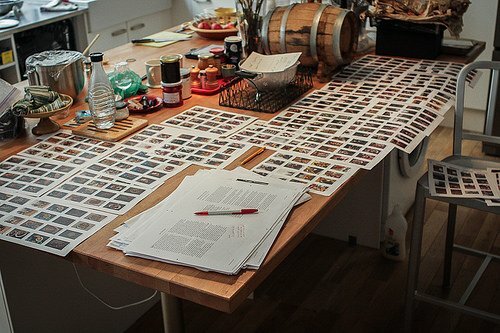 And a few weeks later, I got the “pages” back from the publisher (sheets of paper resembling the book), I took on the task of indicating on each page of my manuscript where each photo should go, and with what recipe or story. The designer at Ten Speed Press, Betsy Stromberg, provided an amazing look to the book – clean and classic, not detracting from the text or photos, but complimenting them. It said “Paris”, but wasn’t fussy – and let the pictures, rather than a bunch of design elements, tell the story. Normally I nit-pick everything because I’m that way. But aside for maybe one or two minor suggestions, she’d landed on exactly what I was looking (and hoping) for. Reviewing and matching the photos was a pretty daunting task – and even though I knew the recipes and stories by heart, with over thirty sheets of pictures, with sixteen photos on each, the project took over my kitchen counter as I spent a couple of weeks matching the pictures up with the text, scratching notes to my editor and the designer with a red pen as to where they should go. It made me a little loony, but I wanted to ensure that the pictures, the stories, and the recipes all corresponded with each other. Enfin, the moment arrived in March, that special moment when a copy of your book lands at your front door, and you slip that very first copy out of the large envelope. And you kind of can’t believe it. Then, a few months later, a few boxes of books arrive to confirm that the finished book actually exists. But there you have it, your book – and mine! 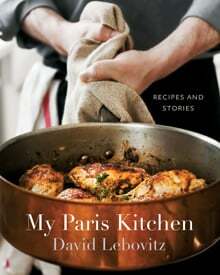 My Paris Kitchen is available at your local bookseller and online from Barnes & Noble, Indie Bound and Amazon. The book is available internationally through Book Depository, which offers free worldwide delivery. David, what a beautiful insight to the trials and tribulations of your story/recipe writing challenge! Having followed your blog for several years and love when I see in my inbox another instalment from you! I have been to Paris a couple of times hoping I’d be there when you had a book signing, but,alas,it hasn’t happened yet! Maybe I’ll be lucky next time, mid June! I’ll wait to buy your book till I’ve been to Paris, maybe a signed copy to bring back to Australia ! Either way I know I’ll be buying a copy of your book! Wonderful post. Just had an email from Amazon that your book is on it’s way to my house. Now I know of the story behind it. Thanks for giving us a peek of the process behind the pages. Am truly happy and can’t wait for it to arrive! Thanks again – Couldn’t wait a moment longer, will see how I can get a dedicace later! Great background story! My book is on the way and I am so eager to get it! Thanks David. P.S. That cover is dynamite! Bravo, David! An exceptional post with so much terrific information on the process involved and the hard work you put into each and every step that it makes me appreciate your book even more than I thought possible. Wonderful! I will buy it at Omnivore Books on Food in Noe Valley, my neighborhood in San Francisco. I am not much of a cook but my newish boyfriend is. I read your blog for the humor, delicious photos and Paris stories but now I suppose I will also have to start cooking. 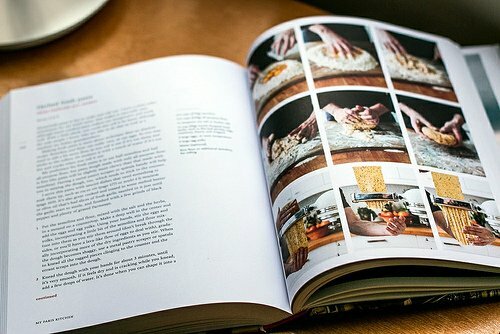 This was an amazing post, and I definitely have a new appreciation for everything that goes into producing a cookbook. I only spend my pennies on books that are both beautiful and useful, and I think yours fits the bill. Can’t wait to receive my copy! I love the storylines in your books. You are so right. I want the stories and the pictures. Can’t wait to buy and read this newest one. If you ever need another good home cook, I’d be deliriously happy to try any recipe you come up with! Can’t wait to buy the book. My copy arrived today. David, it is clean and beautiful. Thank you for putting recipes in grams. Gorgeous cover and print large enough to actually READ. What a concept. I ordered a digital copy also, to keep my hardcover copy from my grubby cookie hands. Bravissimo! David – your book arrived in my mailbox today and it is absolutely beautiful! The quality is quite evident & every bit of work invested by you & your team of editors, photographer, food stylist, friends, contributors of props – every bit of the work shines through. And that is my impression from just an initial look at the covers, first few & last few pages. I cannot wait to sit in the sun & pore over the stories & recipes this weekend, armed with post-it notes to mark the recipes tha must be tried. So thank you for all your hard work – what a great job! The book arrived today and I am so excited! I love the Perfect Scoop and have recommended to people are even mildly interested in making ice cream. Its amazing that publishers turned it down. I promised myself I would never buy another cookbook since I have a gazillion, but I couldn’t help myself. I so enjoy you and your recipes. Here’s to cooking some more! I just ordered your book from Amazon. I bought the ice cream book from the library! Used copy, love it. Have been a huge fan of yours, you were so sweet to send me a copy of your butterscotch pudding after I lost the clipping from a food mag. I emailed you, you sent it to me, I was so impressed. When you sent me the butterscotch pudding recipe, you told me even though I have enough cookbooks, to buy the chocolate book (nice and slim, you said) and I did! Love the sauerkraut cake, I made it for a wedding in Berkeley I catered and they went nuts. Of course, I think half of them were nuts to begin with, an Alice in Wonderland affair with the bride throwing up with morning sickness :) They loved that cake! Good memories, looking forward to reading your new book! Just returned from Paris as my husband ran the marathon. Met this guy on the street , a legal translator to find directions to some cuisine store and he told me about u. Would have been a highlight to meet you. Just arrIved home in SB but will get your book ordered tomorrow. What a great read, thank you David. I love your previous books because of your anecdotal style as well as the recipes, so this is a must. Also I’ve been searching for the perfect madeleines recipe for a few years and it seems you may have done the hard work for me. I’m sure it’ll be a huge success, congratulations! i cant wait to cry over this book (you are the only food blogger/author who has ever written anything that brought tears to my eyes – the israel tours). Congratulations! And thank you for this wonderful, detailed, funny and evocative post. I’m off to order the book now. Just ordered. I can’t wait to read the stories you’ve got in there more than anything! Just wondering if you will be holding any book signing in the Orlando area. Can’t wait to read your new book! I received your book today from Amazon. After reading this post, I started the book. Noted on the last page that you have the photo credit for page 283. I looked it up and there is a story about Jacques Genin! His shop is not far from the apartment we rented several years ago. I can still taste the caramels. They are unlike any I have ever had. And the Paris Brest! I couldn’t even talk while I was eating it! OMG. I can’t wait to try your recipe. I know I won’t be disappointed. Thanks for all your hard work! Yes, that was one of the few photos that I took for the book. Interestingly, when I was writing the book, I had written extensively about Jacques’ outstanding dessert, especially his Paris-Brest. During that time he decided to stop making pastries for the shop (except those served in the café, or to-go, ordered in advance), so I had to change the text so people didn’t race over there hoping to get a Paris-Brest and be disappointed (and curse me for giving them the wrong information!) Thankfully I was able to change the story to reflect that in time, plus, I offered a recipe for a similar dessert, which I call Paris-Paris, based on his, so readers can make it at home. I was thrilled when my copy arrived today, and have leafed thru it several times already. David, it is a beautiful book to be proud of. I know I’m going to love it. Was really happy to see the recipe for Merveilleux–had some a few weeks ago from the new shop on rue Monge and enjoyed watching them being assembled. I’ve promised my daughter I’d try to make some for an event she’s hosting this weekend, and am so happy I don’t have to stumble thru it on my own–your directions are so detailed and I’m grateful for the tips you provide. I’ve been a quiet reader for a long time and have all your books; I just got my pre-ordered Kindly copy yesterday. It’s so lovely I think I will get the hardcopy when I fly to LA next week. :) Thank you for your wonderful stories and recipes and congratulations on the new book!!! I for one know it is all true, the time and hard work involved. Le résultat est très très “chouette”, c’est un livre que je transmettrai à mes enfants et petits-enfants. Générosité : c’est je crois le mot qui caractérise ton travail. Really wonderful to read about the entire process, including the trials and tribulations as well as the joys and successes. What next for you, David? Are you already thinking forward to another book proposal or is there a different project in the pipeline, or are you still focused on promoting the new book or maybe just taking a little time out to relax and celebrate? After reading your blog post I am super excited to get back home to the States and get my hands on your book ( which should be waiting in the post when I arrive). I thoroughly enjoyed reading about the process of writing the book and the behind the scenes glimpses. Hi, David, this book look awesome and the picture is making my mouth water. I am definitely getting this book as soon as I get a chance. Please come to Savannah or Charleston for a book signing someday! I’m excitedly awaiting the arrival of your book in my mailbox! Ordered it yesterday! Will you be doing any signings in New York for the book? David, Still hoping your publisher will change his mind and route you to a short trip to San Antonio after you visit Austin Central Market. The San Antonio library ordered nine copies of your cookbook and it already has 39 holds on those copies not yet arrived at the library. You have fans in San Antonio who I’m sure would love to meet you! Thanks for the in-depth look at all that goes into bringing a book like this to life. Fantastic news and bravo, David! What fabulous photos and love the cover. This thorough walk-through of the publishing process is fascinating and while embarking on my second book, it’s making me nervous but excited all over again. Can’t wait to see your new baby in person! 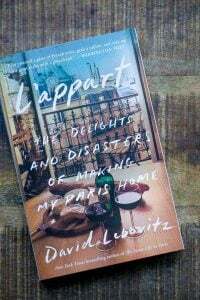 I got your cookbook yesterday and really lost myself in your stories, which really capture what it is to live and eat in Paris right now at a time of great globalization. Now I just need to figure out which recipe to tackle first…all of them look so good! Congratulations on a beautiful achievement! David, congratulations! Your passion, talent, and love of Paris shine throughout the book. I am truly inspired by your work and creativity, and I look forward to the weekend so I can start cooking some of your beautiful recipes. Thank you! Your beautiful book arrived in the mail yesterday and I lost myself in the streets of Paris, the markets and the food. I found myself thinking wistfully of meals past, finding silver spoons in flea markets, coming across mountains of fresh mushrooms in a street market in the 14eme, eating macarons from Mulot, and toting bread from Poilane. Your book is making me nostalgic for that beautiful city. 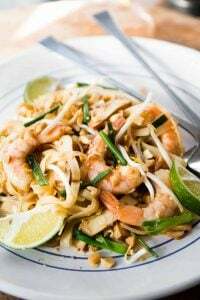 Your recipes are an amalgam of new and old, traditional and modern. It makes me miss my grandmother’s food and treasure all the coup de main she passed down to me. More than anything else your book is delicious – merci! Thank you, thank you for this inside look at what it takes to publish a book. It was fascinating and mouth-watering to see all the food in various stages of preparation. I’m looking forward to getting my own copy soon! I’ve been following your Blog ever since I contacted you about the Cooks’Wares 20 years recipe book. I am so excited to see your posts! I just ordered 2 copies of your new book yesterday. One for me and one for my daughter, who loves Paris and loves to cook. Can’t wait to get it. Thank you David! I absolutely loved reading this post. 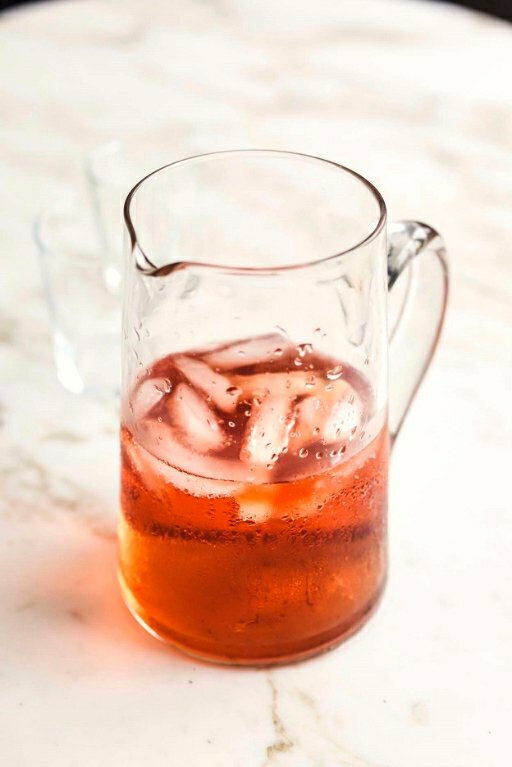 The process fascinates me and I cannot wait for your cookbook to arrive in the mail next week – and in honor of you, I will enjoy reading it with a chilled bottle of rose. 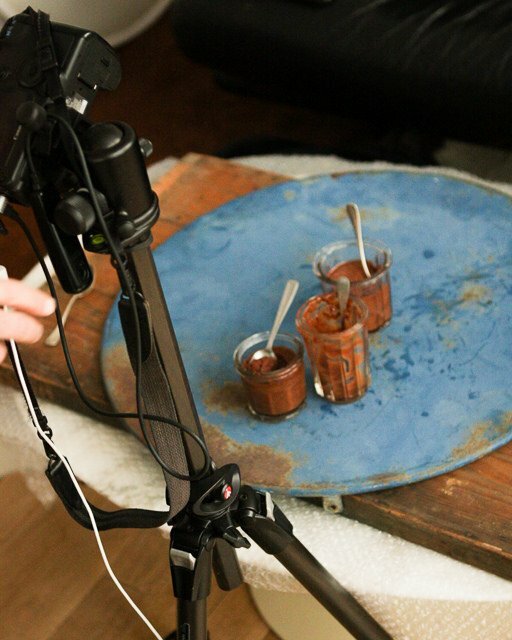 Thank you for giving us a peek behind the curtain of the cookbook writing process. I have to admit, as an avid reader, it drives me insane when I read a grammatical or spelling error in a book. After reading this article, it makes a lot more sense how those little things can slip by someone rereading the same thousands of words over and over (and over and over). Thanks for the insight, this is GREAT!!! Congratulations on the book! Those chicken pieces make me drool every time I see them! UPS dropped off your book last night and I’m so excited to read it. It looks amazing. I’ve loved your previous books (and of course your blog) and this looks like the best one yet! Congrats and hope you write many more. This was a generous look into the process! Also, geeky question: Curious which font is that on the edit notes excerpt? Thank you! Book arrived yesterday…a “feast” for the eyes. Even the texture of the paper and cover are amazing. Now for some serious reading! I love your new book! I took it to bed with me last night and giggled so much my husband asked me what I was reading! 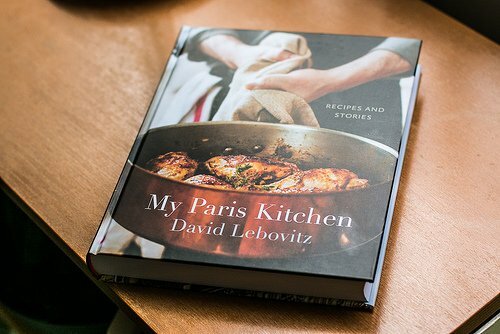 “The introduction to my new David Lebovitz cookbook!” I have all your books and you are so right, the stories and remarks truly make the book so enjoyable! I laughed when you were talking about your sink. I lived in Europe for 7 years and usually had no bathroom or shower, and washed the family’s laundry by hand in a bucket also used for a bath tub later. But, it was the 70’s and we were just kids! It was usually a fun adventure. Maybe tonight I will make it to some yummy recipes! Thank you so much for writing another very personal and beautiful cookbook. Best wishes in all you do! So delighted to see another of your books out. I have all of them! They are wonderful. Can’t wait to get this one too. You’re right about the difference between reading a blog vs. a cookbook – both are good experiences but very different. Hope the newest cookbook is a smash hit! With continuing thanks for your delightful blog, also! I’m still waiting for my copy!! I can’t wait!! David, congratulations! Thank you for a fun and informative talk at the American Library tonight. See you at WH Smith with a copy to sign in June, however, it may be well-splattered by then! Congratulations! It looks great! So exciting! I am looking forward to buying your book! I hope to see you when you are in the USA for your book tour! David, congratulations on the new book! I can’t wait to buy it when I get to the US this summer. I´ll also be in Paris in Sept, can I look you up? Just joking. Your tale of the process of writing and publishing a cookbook was very interesting. A little more than throwing some recipes together, no? So congratulations again, I love your blog and always look forward to it. I have two of your books and will soon have three. Keep up the good work. Love love your story telling! I have been a faithful fan of your blog for years. I will get this book, as I have a more savory than sweet palate. Do do continue what you do, it is funny, inspiring and beautiful. Hi David – I just ordered My Paris Kitchen, and am so excited that it will be coming to me in the mail in a few short days. Yours is the only blog I read, and I have started collecting your books. I very much appreciate that you have recipes that I feel courageous enough to try as I’m not a confident cook/baker. Thank you for this newest book, and I look very much forward to reading it. “My Paris Kitchen” arrived today. Gorgeous! Can’t wait to curl up with it. Congratulations on another beautiful book! Your book was one of the first downloaded on my new iPad — what an interesting and fun read! 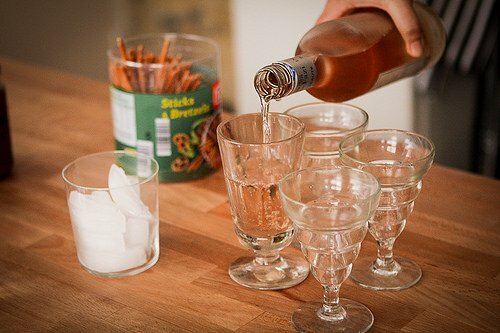 I can’t wait to make the salted olive crisps for a party and also getting great ideas for a dinner party. Thank you!! I might read a good novel once or even twice; but a glorious cookbook like My Paris Kitchen will bring joy to the dinner table recipe after recipe, year after year. Lovely! Thank you for the obvious time you took not only in preparing the book and cooking, but in writing about this process. I have hopes of writing and publishing a book of my own one day — not a cookbook — so to learn more about the process is really fascinating. Also, like most things, the reminder that things take time is a good one. What a beautiful accomplishment! I received my copy of your new book this week. What a feast! The stories and photos are delicious and I can hardly wait to get back into the kitchen to read and cook some of your interesting dishes. Thanks for all your hard work! What a beautiful story of the writing of a cookbook! I especially love the front cover. Great choice. This seems like the kind of cookbook I love to leaf through and drool over again and again (a bit like Nigel Slater’s Kitchen Diaries – one of my favourites!) and is now firmly on my cookbook wishlist! I am not sure how I even found your blog, but I am so glad I did!!! I devour every word and I am addicted. I cannot wait to buy “My Paris Kitchen”….. So enjoyed reading about the process of writing your cook book. This seemed a monumental task but so worth it. Congratulations it looks beautiful! David, this was so lovely to read! Thank you so much for letting us in behind the scenes. Can’t wait to grab my own copy! Amazing David, you are amazing. I mean you just hit me in the gut and showed me what it really takes to write a cookbook. I can’t wait to buy it. Lovely fun blog post. I am ordering this book right after writing this comment – which is not actually about the book itself. Your gorgeous cover shows chicken which has been fried at fairly high heat in a large copper skillet, lined with tin. 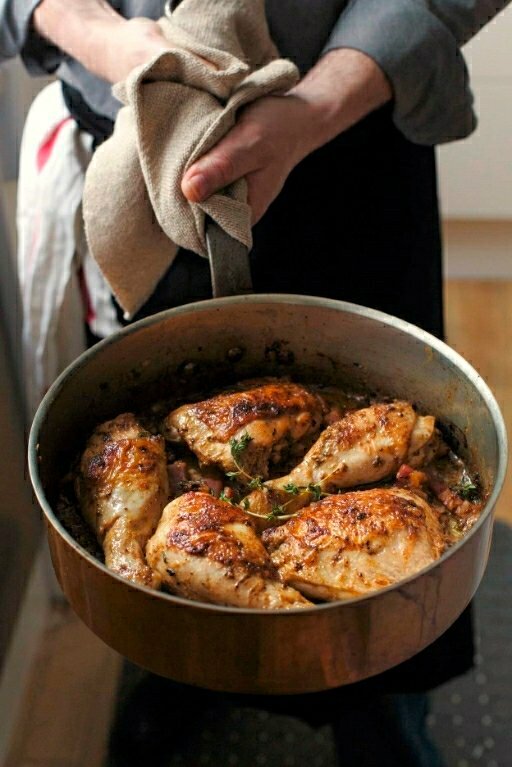 I have one of these giant pans, but have barely used it in the 30 years it has hung from my pot rack, for fear of ruining the temperature-sensitive tin. Can I just go for it? The pan itself must be worth a fortune just in the copper content, and I’d love to use it. My cookbook arrives today! You are correct I can get recipes from the net but I am looking for a deeper experience just like a perfectly prepared meal. Your new kitchen story made me love and respect you- it was intimate and divine. Congratulations David. What an excellent post about the making of the book! I hope you sell millions! Congratulations, I always feel disappointed when recipes are presented without ant introduction or story. I so look forward to purchasing this book. Thanks for the behind the scenes perspective. Congratulations on a huge achievement! I’m looking forward to reading and cooking from it. David, an apartment never could be finished….so just keep the wine flowing. My copy arrived today. It’s dazzling and I can’t wait to try so many if the recipes. I just received your book today and have eagerly read through all the sections and thoroughly enjoyed them. Next I will try some recipes but just the reading has made the book worthwhile. it is just lovely. Congratulations. I love My Paris Kitchen. I am almost through reading it and can’t wait to start making some of the recipes. You have done a fantastic job. Kudos! Hi – What about the big reveal of the lovely redone kitchen? Did I miss it? We really do want to see. I’m going to buy a proper little oven like I had at RachelK’s so I can make ll this gorgeous looking food of yours David. Time to get with the program!! My copy arrived today and it’s fabulous. Starting on cooking from it tomorrow. Greg & I plan on having dinner with you at Camino in May. Really looking forward to it! Best book yet, David, you,re a master. I got the kindle version for my i-pad, impressed! That’s actually the third book of yours I bought, I love them all! Hooray! Congratulations! What a fun peek into the process. I look forward to meeting you in Austin! You are simply the best!! Love the write up and can’t wait to buy your book and maybe be part of your chocolate tours in Paris one of these days in the not so distant future!! Can not wait to get your book. I loved the article on writing the book. Very heart felt and personal. That is what cooking is to me. I will have one copy on the IPad, but as you say one needs a copy to read in bed after a long day. You always seem to come through for us. Have my kids reading your blog now, one living in Montpellier and the other in here in the US. Next time on book tour come to St. Paul/Minneapolis Would love to see you. Warm regards! I loved your post, thank you. You are a great talent, your generosity and simplicity transpire permanently when you write. I’m a french living in sweden and you make me miss the french food markets, cafés and bakeries when I read you. Your book will be very soon in my hands. David, your book arrived the same day this post appeared. It is a treasure. I want to lick the pages! Loved the post about putting the book together especially as I have done the same a time or two (though without pictures, and yours are marvelous) and recognize how much effort it is. Thank you for your hard work in getting those beautiful books in their box and to us! Starting to cook from it **right away**! Mine arrived, beautiful and a dream of mine, too… someday. 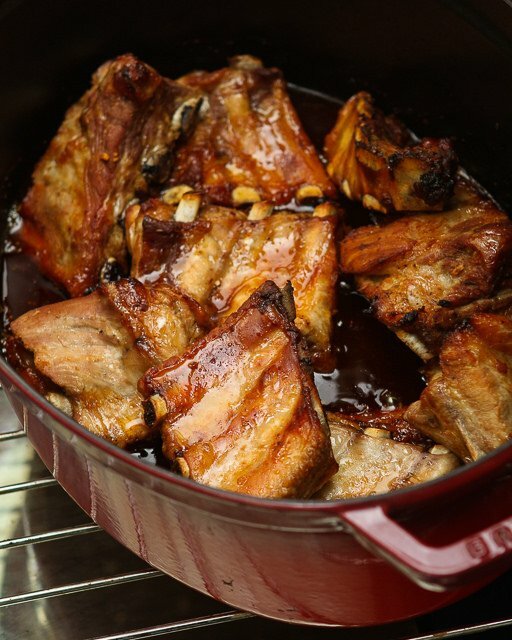 So looking forward to meandering through, salivating and trying these in my kitchen. You and the other David (Tanis) never let me down. I get your new book and I have meal plans for a month or more. Thank you from the bottom of my heart! Book arrived and I have to say I think it is the most amazing cookbook. I was lucky to have a free day and I did not put it down. The stories are entertaining and the recipes are amazing. We are planning our first meal this week from the book. You have enriched our trips to Paris with all your insight and helpful information. Love the story about Paule Caillat. We took a class from her on your recommendation at the time you were debating “no good cup of coffee in Paris”. She was an amazing teacher. I have ordered copies of the book for all the francophiles in my life. Hope to get them signed on the book tour!!! Looking forward to getting my copy. So sad the Seattle Book Larder event is full. I was even going to bring you a jar of my quince (+citrus/ginger) marmalade (a riff on your recipe) for use in the quince marmalade tart that’s so addictive. Your new book looks amazing, congratulations! And your post offers great insight into how much obsessive focus and refinement goes into producing something of real quality, beauty and uniqueness. You are a man of many talents Mr. L.
David, I just received the book and love it. Thanks for all the work that went into it. I was reading it in bed last night and every now and then laughed out loud. My wife said “I never heard someone laugh while reading a cookbook”. I told her this is more than a cookbook. Thank you, thank you! I hope to meet you at the 92st Y discussion on May 13th. I’ve been reading your blog for over a decade and I think this is one of the best posts you’ve written (and there have been a lot of great posts).. You’ve sold me a book. Congratulations David! Thank you so much for your generous description of what it takes to make a cookbook worth reading. You are an extraordinary talent and you prove once again why so many of us want you to spend time with us in our kitchens. Thank you for the great words, images, story line hints, and tantalizing details that make me want to SPRINT to the nearest bookstore to get your cookbook. Go you! Yesterday was a very good day. I picked up my copy of your book and have set it on my coffee table for evening and weekend reading (I already went through a bit- oh the beautiful imagery! and I love your writing) then I baked a new batch of your bran muffins- they are as yummy as always. I am so excited about your cookbook it’s ridiculous. 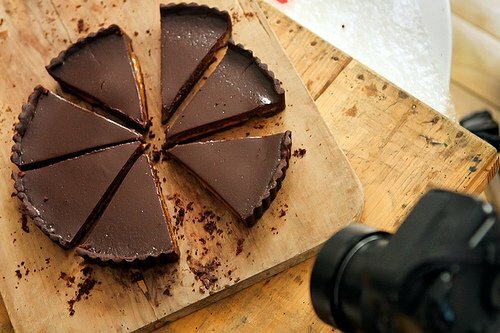 You are one of the few people whose taste I completely trust. I am a little bummed that you are not making any midwestern stop during your US tour – please consider adding Chicago or Minneapolis, and I will be there in a heartbeat! David, you and I are cut from the same cloth. I burst out laughing at your description of your French friends telling you that you must cook with your nose and proceed to tap on the side of their nose. Your necessity to include that you then had that friend wash their hands afterwards, makes me think that I have a like minded friend out there in the world. I can’t wait to get started on your recipes. I’m already a little famous (not really) for making a couple of your dessert recipes from your last book. Thank you David. 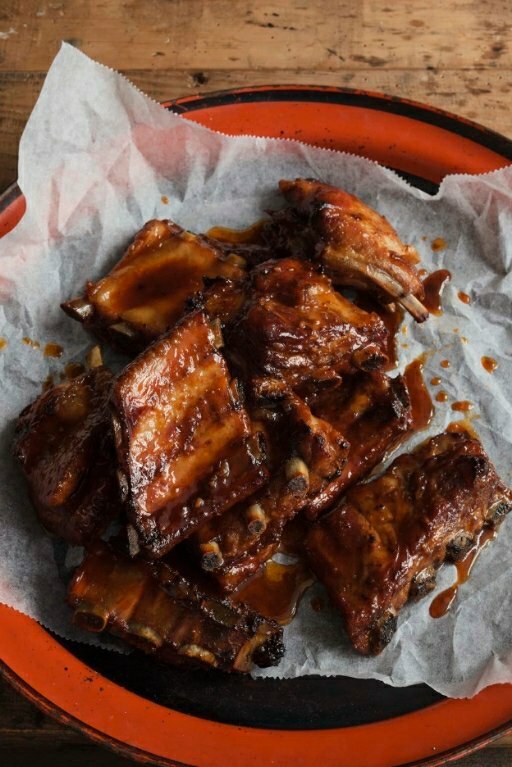 Just made the bourbon caramelized ribs! What a fantastic recipe!!!!! 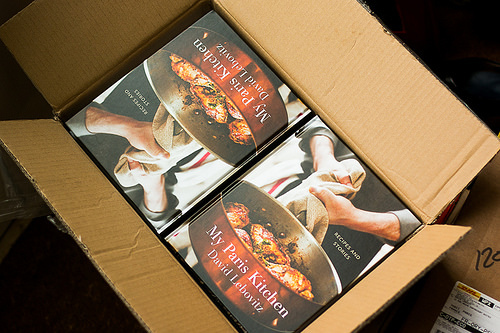 Thank you for writing such a personal and scrumptious food memoir/cookbook. I send your blog to everyone I know. It is wonderfully written and so informative about food and France. About this book and previous ones, too, who does the indexing? Do you have a say or control or is it all up to the publisher? I have noticed that cookbooks have some of the most awful indexing, Aunt Mary’s brownies, so you look under A rather than brownie. Hope that they met your standards for the indexing! The book is on its way to me now. What a great blog about the book writing process! I’m a legal non-fiction writer and have been through the same types of edits, right down to those grammatical bits, albeit without pictures. And opening that first box of books: WHAT A THRILL! I don’t have kids, but it must be something akin to what people feel when they see their child born. 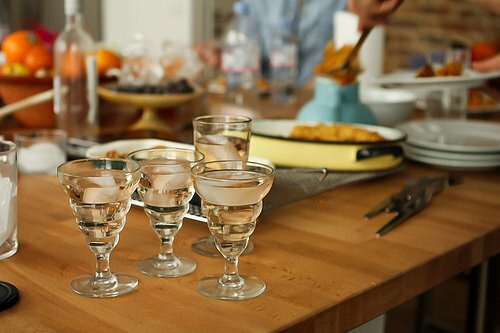 I really enjoyed My Sweet Life in Paris and am looking forward to My Paris Kitchen. I love your blog and have used it, as well as Sweet Life, to bookmark restaurants on Yelp and download apps to my smartphone so that I’m all set when I arrive in Paris June 1, 2014. You’ve given so many suggestions that when my wandering takes me to n’importe ou a Paris I’ll have a cafe to relax in or a lovely meal at a restaurant without having to spin the roulette wheel (although if I was to spin the restaurant routlette wheel, Paris is the best place ever to do so). 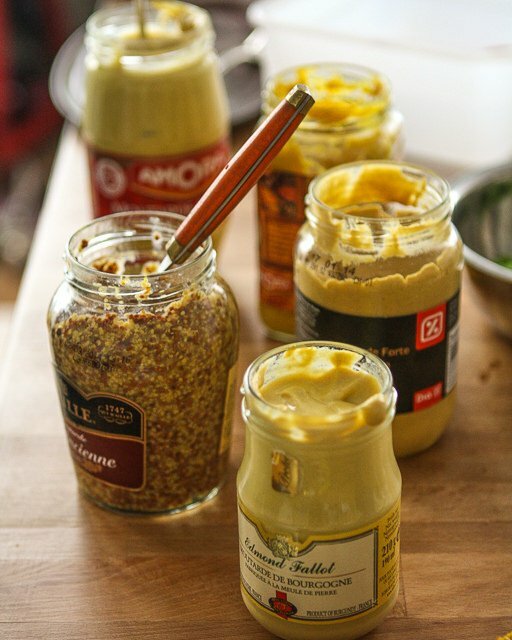 I LOVE the idea of stories mixed with the recipes—brilliant. 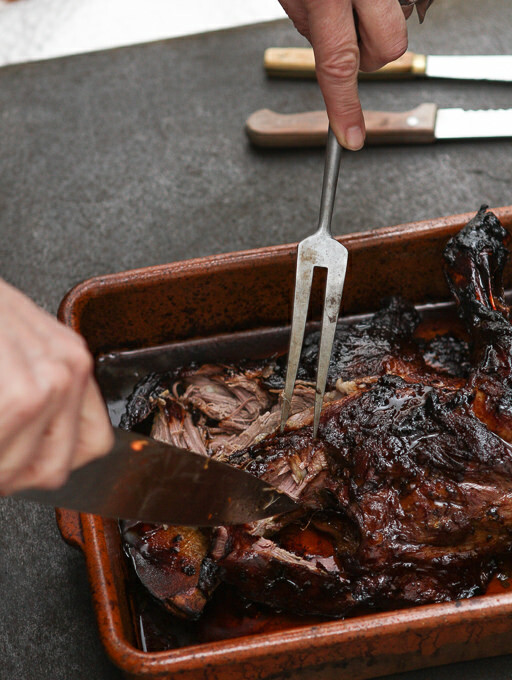 You can get a perfectly fine recipe about anywhere….but with the stories, priceless. And I love your writing style. As fate would have it, I have my first batch of your brownies in the oven right this minute! June 4 I leave Paris for cooking school in Toulouse, owned by a chef I met when we were both just 18 and I was in Paris for the summer with my best friend (1982) before college. I’m excited to share your blog and books with my chef friend, and I used your list of gifts from America to shop and weigh down my suitcase. I’ll be curious to see if he is as unfamiliar with a Microplane grater as he claims to be—-it’s unthinkable to me that someone wouldn’t have this in their kitchen! As I proudly reveal the cadeau of heavy duty tinfoil I’ll think of you, David. (the school I’m going to is L’Atelier de Cuisine Gourmande and the chef is Renaud Defour in case you’re curious). So many, many thanks all around. I enrolled in cooking school on a lark after selling my divorce mediation business (thank you, Jesus, for finding me a buyer!) and it’s been life-changing. It led to me picking up your book as well as reconnecting with Renaud after 32 years. THANK YOU and congratulations on your new book! Very interesting post ! I will definitively buy your book ! I enjoyed this so much — well except for the part where you lost everything and had to begin again. Can’t imagine. Your gorgeous book is on my counter and I’m enjoying it as a story first. The cooking will come because the recipes sound wonderful but for now, I’m just reading. We were getting ready to go to Paris for the first time a year ago, so My Paris Kitchen is also sparking memories of that great trip. Can’t wait to get started. I whipped up the three tapenades and the beet hummus as my contribution to an Easter feast. All four were smashing successes, not to mention drop dead easy to put together. I’m looking forward to trying some of the more daunting recipes. Great! 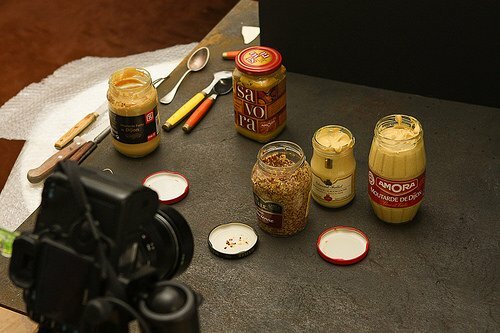 So glad the dips and spreads were a hit. Enjoy the book! 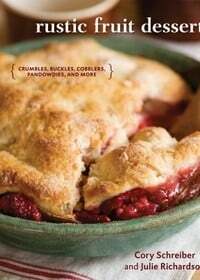 I’ve anxiously awaited this cookbook and one of the reasons was that beautiful cover. What brand is that copper pan – I feel it’s a beautifully worn Matfer Bourgeat saute pan, but I’m not sure. Could anyone fill me in? Congratulations David. Thank you so much for sharing this behind the scenes glimpse into the process that resulted in your wonderful book. I’d only discovered your a couple of months ago and immediately ordered your book, which I love for the writing as much, if not more than the recipes. I hope your book tour will bring you to Toronto, so I can thank you in person! Having written a chapter for a nursing book I feel your pain. However the final product looks glorious and I can’t wait to get my hands on it. I am holding my breath (metaphorically) until you tell us when you’re coming to London. I admit that i owe you a debt of thanks for transforming many tedious grey commutes with your blog so I wish you well with the new adventure. This post was so inspirational for me! David and his website has been my #1 inspiration to start my own food blog, which I just launched this past Monday. It’s a lot of hard work, but post like these are precisely that keep me going, so thank you & congratulations on the book! I probably won’t pick it up to buy. Why? 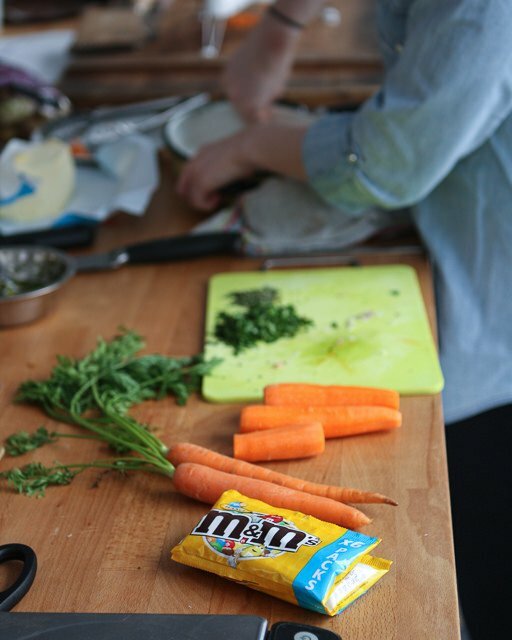 It’s just that the recipes come across as so…international. 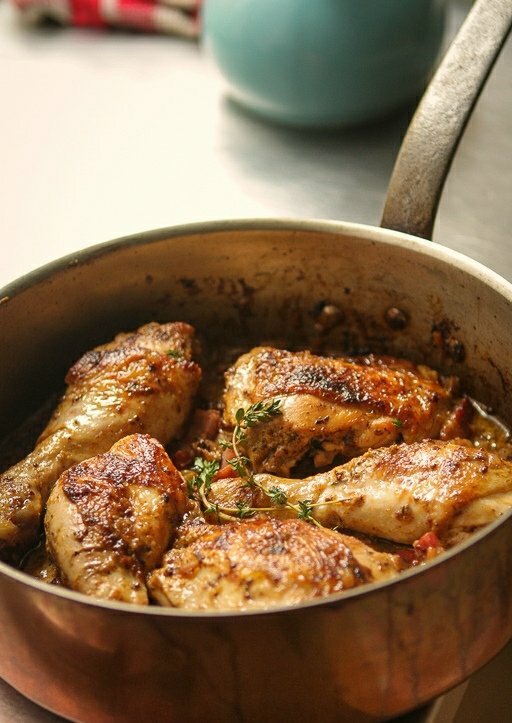 While I’ve come to expect with the homogenization of cultures, particularly in terms of cuisine, to expect things like socca and North African cuisine to be ‘French’ despite being imports, the general scope of the recipes included seems to be less Indigenous French than a hodgepodge of varied cuisines. And these days, MY preference is for French cuisine cookbooks. All that being said, I would be remiss to fail to point out that I still enjoy your blog and still refer to your books held at our local library. I might still pick up yr book just to read your stories and enjoy your writing, but will wait for it to appear in either the library or the myriad used bookstores around. Tally ho! I’ve been mulling over ideas…titles..stories…. and I do want to write a book. You told me once to use my blog as a template, and I’m over the 1000 mark in stories. Still my co-producer who cleans up my grammar and thoughts, sometimes chops the stories in my head, simpler, is less? Dunno, food, bread are my passion. I think this article is the most insightful…and yet, how do you tell yourself to capture so many ideas, and then find those in others books, and wonder if there is space for your stories left to tell? Thanks David, hope to see you in NY if I can get out of work! So, now Coq au Vin is marinating in the fridge. We are looking forward to it. Bought this beautiful book about a month ago and have already made four recipes…the cover recipe of chicken, warm chocolate cake (served with caramel and sea salt ice cream), potatoes gratin, and cart cake. My family is smitten with these meals and I intend to make many more. Love the stories that accompany the recipes. 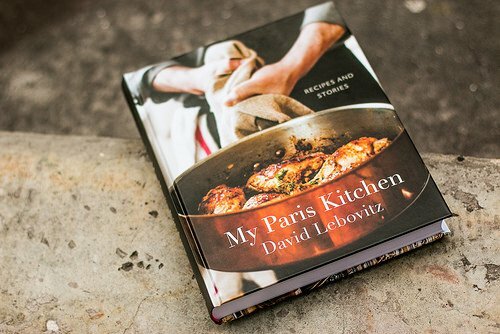 Thank you for sharing such a Paris dream……..
David, after enjoying your food and writing, I finally got to meet you and get the new book signed today at Farmer’s Market in Hollywood! The book is amazing, the cover spot-on, I am giddy! I was so excited to meet you in person at Williams Sonoma today, even if I could only hear your voice during the Q&A hehe. I’m sure your book and recipes will bring my mother back to her youthful memories of living in a Paris apartment =) Safe travels! Thank you for sharing the tips of delicious food. I am so excited to make this dish as soon as possible. Its my hobby to learn new dishes. Just wanted to say I’m loving ‘My Paris Kitchen’. I’m reading it a few pages at a time to better absorb and enjoy it. I’ve only just exited the introduction section about ingredients and equipment, and I’m looking forward to savoring the rest of it. Everything is lovely down to the paper, the colors, the photos, the substantialness of it all. Soooo good! Thank you. I just finished reading your whole cookbook as it if was a book! 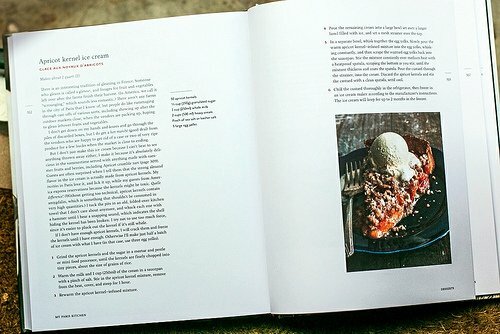 I love the stories that preface each recipe…often that gives me just as much inspiration to try a new recipe as the photo! Félicitations, David!!! I thoroughly enjoyed reading about the whole process from conception to birth! Soooo interesting! I have always loved all things books, type, design and especially when paired to food and a good story. What you mentioned about the shift in direction that cookbooks of late have taken, mostly due to the advent of blogging, is so true!!! 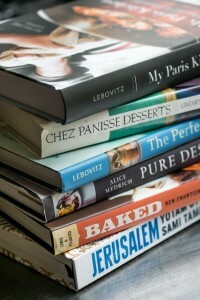 And the truth is that it makes cookbooks that much more enjoyable and accessible! Can’t wait to get my copy! And maybe one day my dream will become a reality like yours! Merci!!! Wow. Thank you so much David for posting this, I loved getting this behind-the-scenes glimpse of the process behind the book. I am going to be ordering it on Chapters now! And next time you come to Canada, you should stop over in Ottawa – the food scene here has really been buzzing lately! This was a fun post to read. Thanks a bunch!